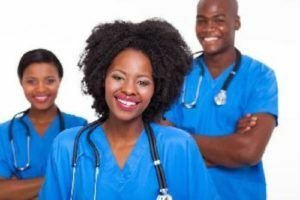 The Role of Nurses in the Nigerian Healthcare System. There is no doubt that nurses are well trained to perform many roles and if given the opportunity they can comfortably perform those roles that obnoxious policies presently deny them from performing. In Nigeria, nurses in various specialties such as general nursing, psychiatry, midwifery, anaesthesia, ophthalmic, accident and emergency, intensive care etc are performing greatly in their chosen specialties. on call-duty, the nurse should be rest assured that she will work alone because the other would not come. Too busy to comply with call duty! Go to the Primary Health Centres; the nurses are all-in-all. It has been established that many doctors at one time or the other have employed nurses especially the male nurses to consult for them in their private hospitals until recently when nurses are been discouraged by their nurse leaders from accepting such functions again, as it amounts to cheap labour. A closer look at the course curriculum of undergraduates of our universities shows that nursing, medicine, pharmacy and physiotherapy students attend same classes at 100L, 200L, before concentration on core clinical courses in different departments. It is evident that nurses are well trained in all medical and surgical conditions as well as pharmacology. What a nurse does in any health facility is only limited by the policy of such health institution. For instance if you want a nurse to wait endlessly to get intravenous fluid put in place instead of allowing the nurse to carry-out the venipuncture, its your choice! If there is haemorrhage as a result of deep laceration and you want the nurse to wait endlessly rather than allowing the nurse to suture and prevent further blood loss, thats also your choice! But let it be known that the nurse is a big asset that is grossly under-utilized due to the selfish reasons of a few. What is happening globally now is role expansion for nurses and every profession requires the services of consultants; nurse- consultants are needed to ensure that nurses are rendering care based on current best evidences. This is indeed in the best interest of the patients. To insist that a PhD holder or a professor in his/her chosen profession cannot serve as a consultant in that field is both absurd and appalling! Such an act is capable of ridiculing our educational system. The Healthcare team is a cyclical structure with the patient at the centre, it is neither horizontal nor vertical. Every profession is important and the need to work collectively in the best interest of the patients cannot be over- emphasized. These days a whole lot of patients are well informed about their health issues and needs and are ready to take actions beneficial to themselves, this means that no health professional can assume sole custody of knowledge any longer.